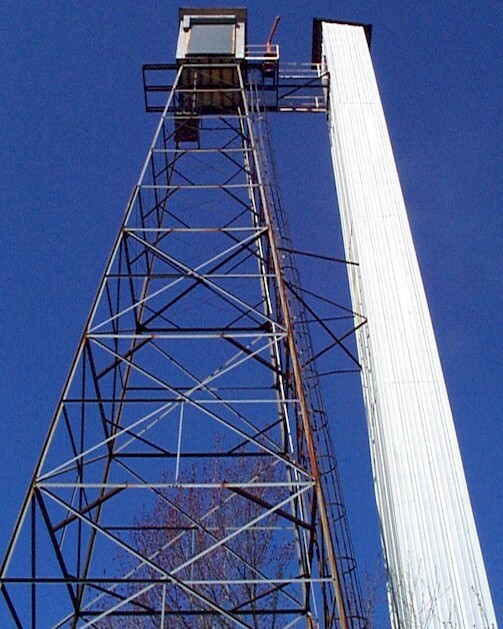 KRC owns a 30 meter former fire tower located in Askel, Michigan. This is approximately 30 miles to the south of the KRC main complex. 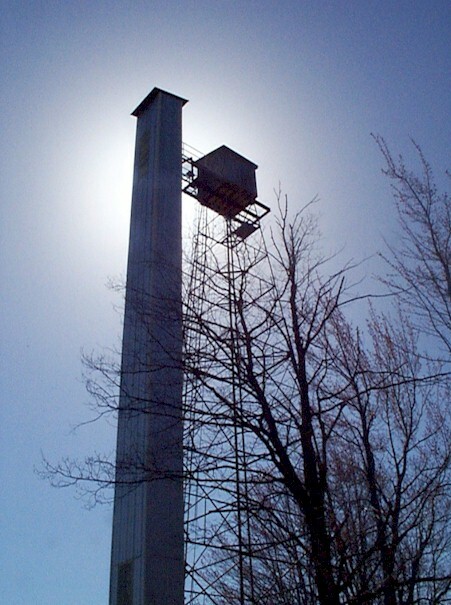 The tower facility is ideal for look-down studies of targets with a variety of sensors. The tower facility is situated on a cleared, grass-covered 40 acre field bordered on two sides by deciduous and coniferous treelines. A 2.5 meter by 2.5 meter weathertight structure is located at the top of the tower with removable wall panels facing to the south and east. This structure is accessed by a Spider ST-180 construction elevator in an enclosed shaft (with a 990 pound net lifting capacity) or via a ladder on the external structure of the tower. Electrical power (240VAC/50A) and telephone lines are routed to the top of the tower. Additional coaxial lines for data transmission from the tower to the ground can be made available on request.